Poway residents will find that there are many issues that need to be addressed when considering divorce. Divorcing in the Poway community is not just ending a marriage, but ensuring your rights and protecting your assets. Legal separation is also an option but the first step when considering a legal action is obtaining legal representation. Roy M. Doppelt is an attorney familiar with Poway asset analysis and he will protect your rights and make sure you receive the best settlement. In addition, he will address many other factors such as spousal support, child support, child custody and visitation, reimbursements, division of assets, attorney fee contribution requests, enforcement of orders, domestic violence and restraining orders, post judgment enforcement, support analysis, annulment, trial, court appearances, retirement division, division of debts, preparation of marital separation agreements and judgments. Doppelt and Forney, APLC is located in San Diego County, just minutes from Poway. Our firm is centrally located and Poway residents can easily access our office at any time of the day. We are located in the Clock Tower Office Plaza, and directions are easiest if you take the I-15 North to exit 23, Bernardo Center Drive. If you prefer to use your navigational system, our address is 16466 Bernardo Center Drive, San Diego, California 92128. Our office is located on the second floor in Suite 260. Attorney Roy M. Doppelt has worked with Poway residents for over a decade and is dedicated to serving the Poway community. On October 5, 2011 Poway residents watching NBC even saw attorney Doppelt’s interview on international kidnaping cases. This interview is available for viewing on attorney Doppelt’s website for anyone interested in kidnaping issues. If you are seeking a legal separation or divorce and want an attorney who will defend your rights, contact our firm for a free consultation. There is a full time, experienced attorney and staff that is prepared to assist Poway residents in their divorce. The office will work with you to obtain your goals and ensure that you are treated with courtesy and respect. In addition, while resolving your divorce proceedings, you will find that our firm will not charge you the fees and costs that are associated with other firms. For example, we have convenient parking that is free of charge. Attorney Doppelt does not charge for mileage, postage, photocopying or facsimile. The biggest savings you will see is the service fees that are charged for documents routinely filed in the San Diego Superior Court. Our office will not charge for routine filings and will make every effort to reduce your fees and costs. He is dedicated to his profession, and will provide clients with a complimentary 30 minute consultation in effort to provide the Poway community insight into their rights. Attorney Doppelt will also provide clients a copy of his book, sold on Amazon, “The San Diego Legal Insider’s Guide to Divorce, Legal Separation and Paternity”. Should you seek the services of Attorney Doppelt, you will not only secure your rights and ensure an equitable settlement, but you will have an attorney who holds many awards which you will find listed on his website as well. 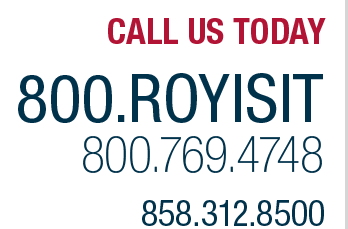 If you would like a free consultation to discuss your divorce in Poway, please contact us.